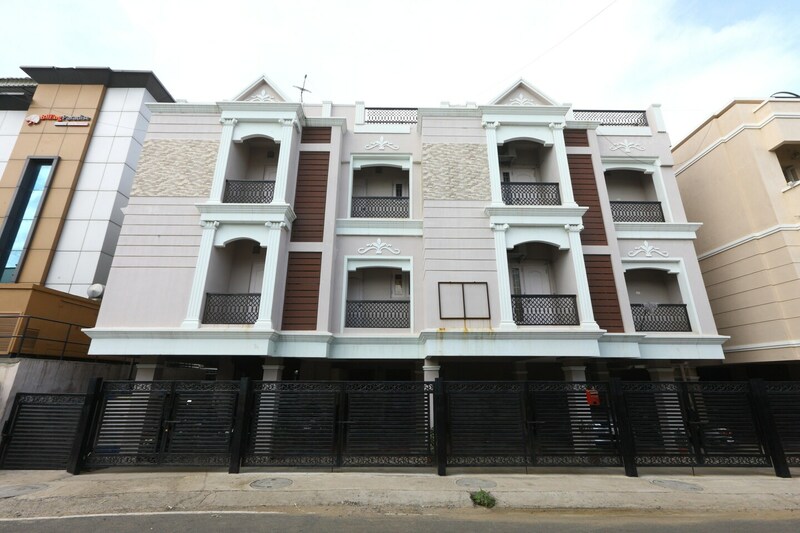 The Hotel NLBR is a popular option among travelers visiting Chennai and looking for reasonably priced accommodation choices. The rooms have been painted in neutral tones and the usage of bright cushions and curtains adds a pop of color to the rooms. The rooms are well-furnished and well-lit. There is a common dining area provided within the premises. The reception area has been decorated with sofa sets. The other amenities provided by the hotel are laundry, CCTV cameras, an elevator, a constant power backup source, card payment, parking facility, and free Wi-Fi. The reception has been conveniently placed near the entrance.